Highlights include celebrity appearances, movie sneak peeks, what’s new at Walt Disney Parks and Resorts, the 2011 Disney Legends ceremony, the Ultimate Disney Trivia Tournament Presented by Hasbro’s Trivial Pursuit | Disney Edition and more! The Walt Disney Studios will give fans a fascinating behind-the-scenes glimpse at the exciting roster of projects on the horizon. From exclusive video clips and live performances to filmmaker discussions and star appearances, audiences will be treated to an up-close look at select movies from the Studio’s upcoming film slate. Walt Disney Parks and Resorts will be showcasing its “great big beautiful tomorrow” with a sneak peek at imaginative new experiences in the works for Disney Parks around the world, Disney Cruise Line, Adventures by Disney and Disney Vacation Club. Treasures of the Walt Disney Archives exhibit will offer a unique glimpse into the fantastic world of the Walt Disney Archives as we throw open the vaults and bring out the crown jewels of our amazing collections in an exciting, never-before-seen showcase boasting costumes and props from Tim Burton’s Alice in Wonderland and Pirates of the Caribbean to Tron and LOST. The Disney Living pavilion, presented by Disney Consumer Products, will inspire the Disney lifestyle through the worlds of Style, Play, Celebrations and more. From the nursery to the runway, from hot toys to cool book apps, favorite Disney characters will come to life in exclusive and never-before-seen products, collections and experiences for Disney fans. Meet the artists, designers, authors and innovators who create the magic and fun, and join in hands-on demos, activities and immersive environments. 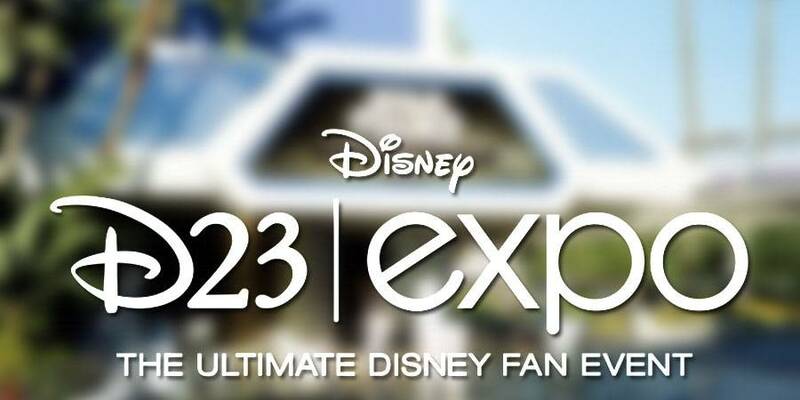 Disney Channel, Disney XD and Disney Junior will jump off the screen at this year’s D23 Expo! Look for special appearances from many of your favorite stars from our biggest shows—and enjoy once-in-a-lifetime experiences sure to delight the whole family. Radio Disney invites you to join the party as we celebrate the ultimate Disney fan event with music, fun, games and the chance to meet some favorite Radio Disney stars! Disney Interactive Media Group pavilion will bring beloved Disney stories and characters to life digitally though exciting new interactive experiences. Guests will be able to try out new and upcoming games for videogame consoles, mobile and online, as well as fun creative activities from Disney.com. D23 Expo Dream Store will be filled to the brim and bursting with D23-themed merchandise and other specialty items from Disney Theme Park Merchandise. From souvenirs and upscale logo assortments to Disney-inspired art and collectibles, ear hats, pins, Vinylmation™ and more, it will be a Disney enthusiast’s dream come true. Disney Fan Art Gallery will feature the creative talents of D23 Members at D23 Expo 2011, putting the “spot”-light on One Hundred and One Dalmatians. Disney lovers were previously invited to create work inspired by the beloved animated film, currently celebrating its 50th anniversary. Winners, selected by a panel of Disney’s creative executives, will see their work prominently showcased in the D23 Expo’s Fan Art Gallery , themed to the infamous House of de Vil, inside the Treasures of the Walt Disney Archives exhibit. Collectors Forum will be the ultimate Disney marketplace for fans. Collectors, dealers and other vendors will have the opportunity to showcase their collections in this ultimate forum for buying, selling and trading Disney merchandise and memorabilia. This year, in addition to Disney, Pixar and ABC collectibles, the Forum will feature items from the amazing world of Marvel, the newest addition to the Disney family, and Star Wars, in celebration of the reimagined attraction Star Tours – The Adventures Continue at both Disneyland and Walt Disney World Resort. Ultimate Disney Trivia Tournament Presented by Hasbro’s Trivial Pursuit | Disney Edition is an exciting new addition to D23 Expo 2011. The eccentric, professorial quack-meister Ludwig Von Drake will preside over the festivities as competitors demonstrate their deep knowledge of all things Disney, including park attractions and shows and parades, past and present; films and TV shows through the years; consumer products, games, company history and, of course, Walt and his family. No corner of Disney’s magical kingdom will be left unexplored in this quest to find that uniquely talented individual who knows more about Disney than anyone else. Trials for the Tournament will take place on Thursday, August 18 at the Convention Center, the day before the Expo opens. D23 Expo 2011 will also feature the Disney Legends Awards—a tradition that pays tribute to the talented men and women who have made indelible contributions to the Disney legacy, and a product showcase featuring Disney Pins and Vinylmation in a special area where collectors can swap stories, treasures and meet the artists. Tickets for D23 Expo 2011 are available at a discounted price through June 30, 2011. 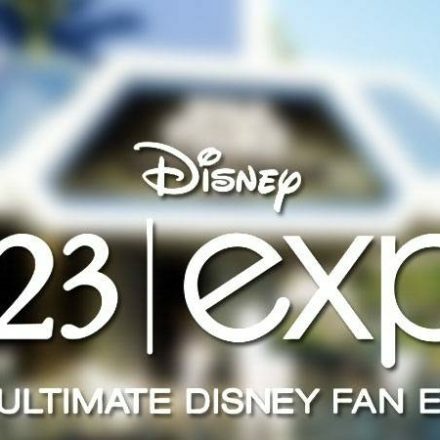 All D23 Members—both Gold level and Silver level—can take advantage of additional exclusive admission savings at www.D23Expo.com. Gold-level D23 memberships are $74.99, and Silver-level memberships—which provide all benefits with the exception of a subscription to Disney twenty-three magazine—are just $34.99 a year. All discounts and special promotions are available to both Gold- and Silver-level D23 Members. The name “D23” pays homage to the exciting journey that began in 1923 when Walt Disney opened his fledgling studio in Hollywood . D23 is the first official community for fans in Disney’s 88-year history. D23 gives its members a greater connection to the entire world of Disney by placing them in the middle of the magic through its quarterly publication Disney twenty-three; a rich website at www.disney.com/D23; a new collectibles line, the Walt Disney Archives Collection; and special events for D23 Members throughout the year, highlighted by the D23 Expo in Anaheim, California, August 19-21, 2011. 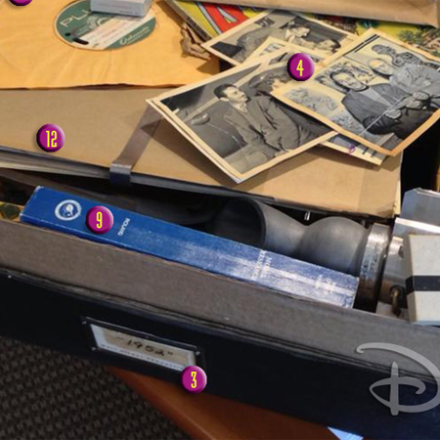 Contents of Brad Bird’s Mysterious “Tomorrowland” Photo!